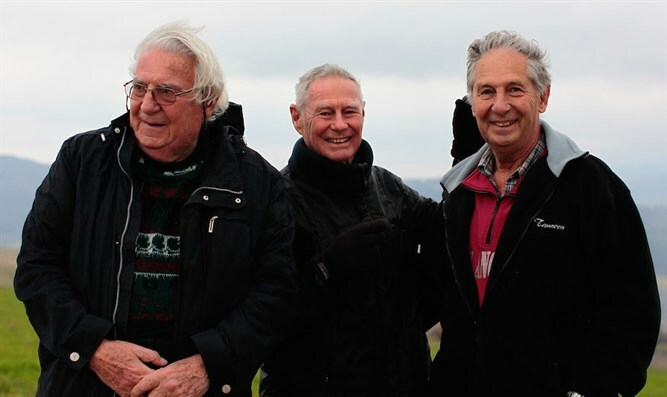 Three Italian brothers try to find the cave they lived in during the Holocaust. The Anati brothers, from left, Emmanuel, Andrea and Bubi. JTA - Renting a house in the Italian countryside and eating loads of pasta is about as blissful a vacation as they come. The Anatis were raised in an upper-class family in Florence, Italy. In 1942, just before the deportations of Florentine Jews to Auschwitz began, the family escaped the city. They fled from village to village and eventually settled in a forest near Villa a Sesta, a town some 50 miles from Florence. With the help of locals, their father dug a cave — and the family lived underground, literally, for several months during the winter of 1944 until the end of the war. Shalom Italia, an hour-long documentary directed by Tamar Tal Anati (Bubi’s daughter-in-law) airing Monday night on the PBS series Point of View, follows the brothers’ return to Italy in an attempt to find the cave and seek some closure about those dark years. 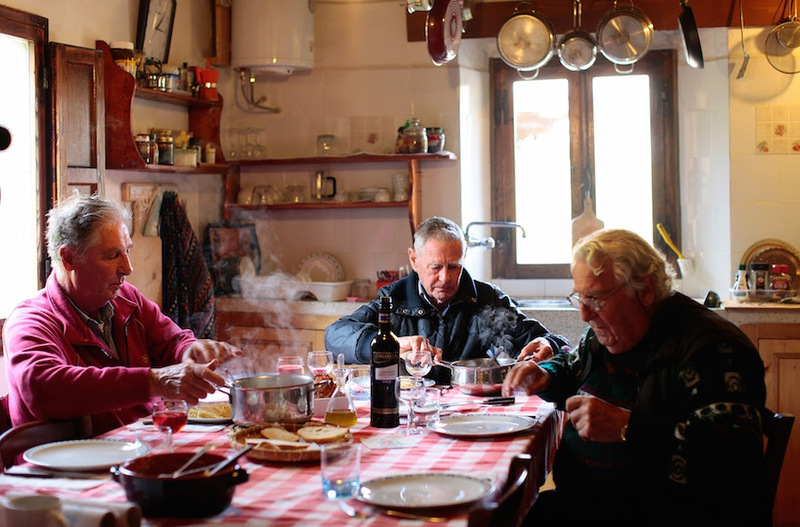 The affable trio treks through the forest, meets with members of a family that helped them survive and, since this is Italy, eats plenty of pasta along the way. In spite of its charm, Shalom Italia does not glaze over the serious history underpinning the story. The film’s lighthearted tone goes hand in hand with the brothers’ ghosts from the war. They have interesting conversations about the nature of memory over mouthwatering meals, which include salami, mozzarella, tomatoes, prosciutto and pasta with pesto. Ultimately, the film is a testament to how memories are filtered through our attitudes and experiences, even the desires of those around us. Tal Anati noted that for decades, the brothers did not even think of themselves as true Shoah survivors. But since the filming of Shalom Italia, which helped them reckon with the memories of that long-ago winter, they do now.